Patrick Lamb, an attorney and blogger, wrote about attorney mistakes in his August 6, 2015 post on abajournal.com titled “How lawyers can embrace mistakes.” In his piece, Mr. Lamb suggests that lawyers and law firms should conduct “After Action Assessments,” to evaluate “What Went Well” and what to “Take A Look At.” He advocates sharing the assessments with colleagues so others can learn from the mistakes. Two of the commentators, however, raised a host of possible concerns and repercussions, including malpractice concerns with admitting mistakes and ethical issues raised by disclosure requirements. What Mr. Lamb and the commentators do not address is whether attorneys should charge their clients for fixing their mistakes. Imagine a situation where an attorney is handling a contentious divorce and a deal is struck on the couples’ division of property. After the agreement is signed, the attorney realizes that because he failed to include a particular term, the other spouse is able to wiggle out of the agreement and litigation ensues. Should the attorney disclose the mistake to his client? Should he charge the client for work that would not have been necessary but for his mistake? It’s a complicated question for attorneys as it would involve disclosing the mistake to the client, which as Mr. Lamb’s commentators note raises a whole host of issues. But, if the attorney fails to “admit” the mistake, his non-disclosure and subsequent charges to the client for the litigation in the hypothetical above likely pose ethical issues as well. 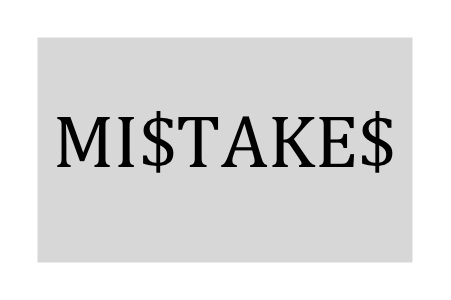 Legal consumers who find themselves in such a situation need to consider whether they should pay for their attorneys’ mistakes. While the simple answer is “no,” unfortunately, sometimes the reality of taking that position is not so simple. This entry was posted in Reform and tagged ABA Journal, Attorney Mistakes, Awareness, Billing Fraud, Conflict of Interest, Fraudulent Billing, Legal, Legal Ethics, Legal Practices, Patrick Lamb. Bookmark the permalink.